Due to the many monuments dating from all historical periods, Athens is the best place for sightseeing. The easiest and quickest way to see all the sights in the city is to take a bus tour. Athens sightseeing tours are many and take place all year round. A bus tour in Athens takes place in modern, air-conditioned coach with all modern comforts and it is usually accompanied by a guide. This guide will explain visitors the history of the monuments and will lead a guided tour in important museums, like the new Acropolis Museum. The most popular Athens tours are the sightseeing bus tours and walking tours around the city centre. Very popular are also the day and half-day bus tours to important archaeological sites and interesting towns, like Cape Sounion, Ancient Corinth, Delphi, Epidaurus, Nafplion, Olympia and Meteora. Some multi-day tours are also arranged to northern Greece or important classical sites. These tours are great to see something from the Greek mainland before heading to the Greek islands for total relaxation. 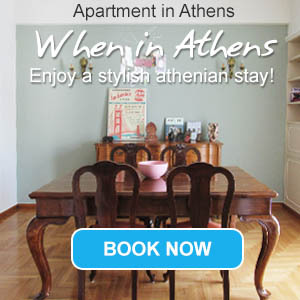 Want to book a tour in Athens, Greece? This is the right place. You will find below a list of Athens Tours. They consist of sightseeing tours in Athens Greece but also of tours to other areas of Greece from Athens. We also propose 24 private tours to the islands.